Korokke! Ban-Ō no Kiki o Sukue (コロッケ! バン王の危機を救え) is an action video game released in 2004 by Konami. 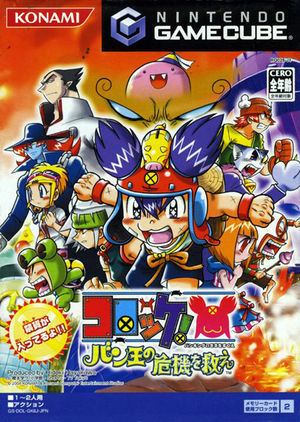 The game was released only in Japan. It is based on the manga Croket! by Manavu Kashimoto. The graph below charts the compatibility with Korokke! Ban-Ō no Kiki o Sukue since Dolphin's 2.0 release, listing revisions only where a compatibility change occurred.